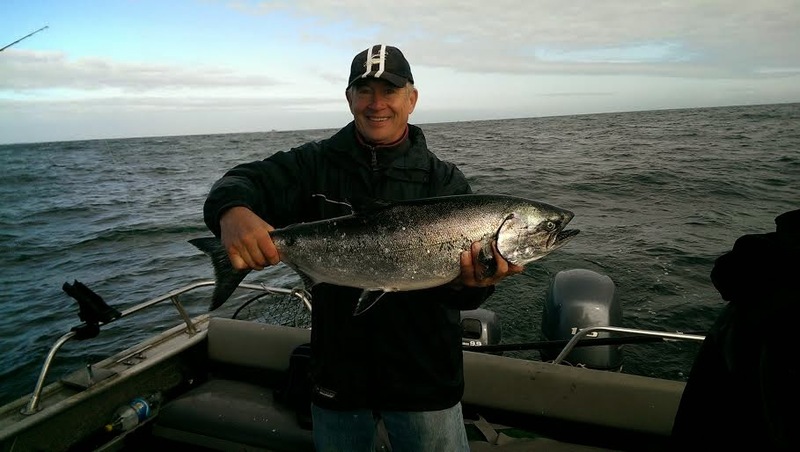 Plenty of nice salmon being caught in Sooke's waters lately. The slot limit has now been removed, so anglers can now keep two Chinook salmon larger than 45cm. There are coho salmon out in the deeper water (can keep 2 hatchery clipped) and there's some pinks around too (unusual in an even numbered year on west coast of Vancouver Island). Everyone is keenly awaiting the upcoming Fraser River sockeye run. If even half of what's projected, it could be amazing. Everyone loves sockeye. Finally, here's a video from some visitors to Sooke. No salmon caught on the fishing trip, but some nice big red rock crabs from Sooke Harbour made for a nice dinner feast.